Yep, you read that right. I got this dress at Salvation Army thrift for 99 cents! It's made from a suede like material, so it's perfect for fall. 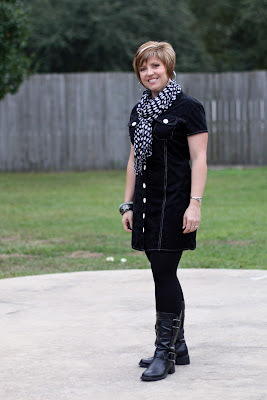 See more photos of it and more of my outfits over at Savvy Southern Style. Linking up with WIWW at The Pleated Poppy. Love this dress, so cute.